Have a particular image in mind that you would like us to capture? Let us help you. We use the latest in aerial and ground filming and photography equipment to ensure our captures are of the highest quality. We can then print to canvas or wall vinyl for you. London, Paris, New York, San Francisco — these are the kinds of cities you always see in photographs at IKEA. But we all have that place a little closer to home, and a little closer to our hearts. If there’s somewhere you’d like an aerial photo of, to store away as a keepsake or to hang up on your wall, contact us and we’ll arrange a shoot. We also have mounting, framing, and shipping partners to get the commissioned photo prepared and sent to you, and can cater for large-scale wall prints for commercial office spaces. 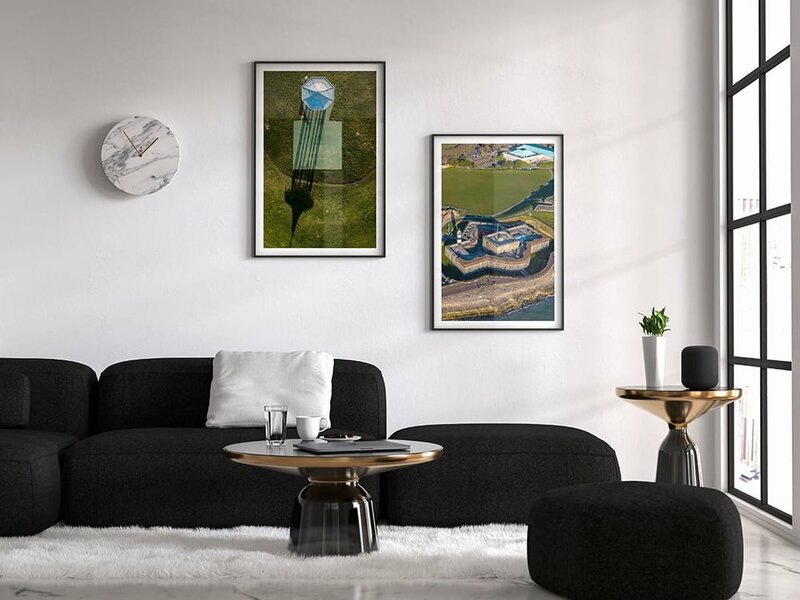 If you send us a photo of any interior where you intend to display our photos, we’ll work with our architecture and framing partners to guarantee the best bespoke outcome for you.